Extra long necktie for the taller man. This extra long tie is 62" in length and is a perfect fit for any man taller than 6'3", or if you prefer larger necktie knots such as the popular Double Windsor Knot. 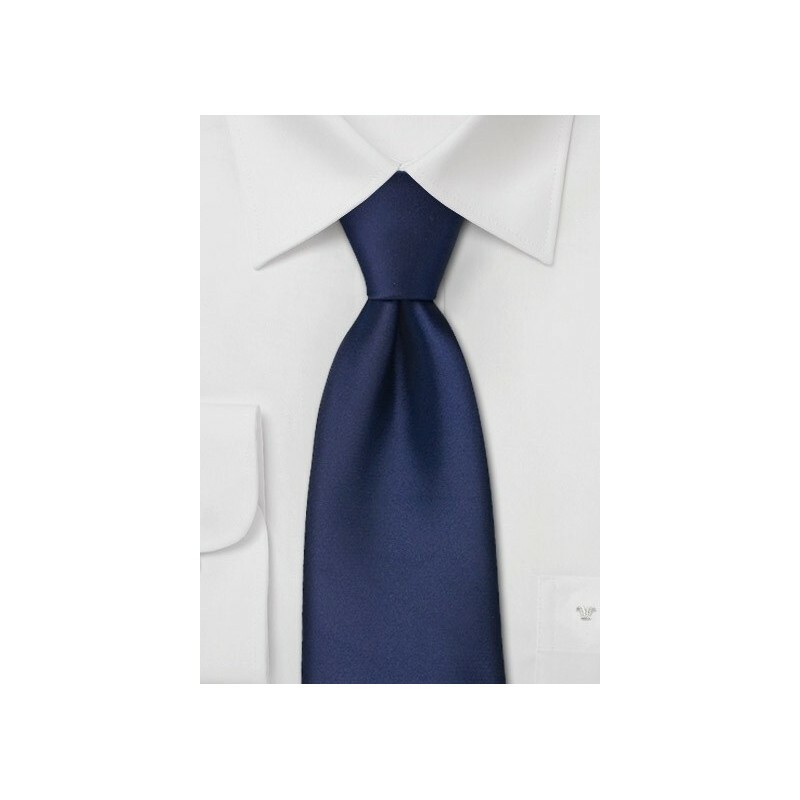 This XL necktie has a classy, dark blue color that gives off a nice sapphire shine. 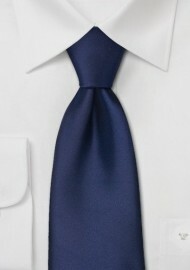 Stain resistant extra long tie made from microfiber. Length: 62", Width: 3.25"